At any time of new starts it’s natural to look back, weigh up the past and wish for good luck when the fresh cycle begins. 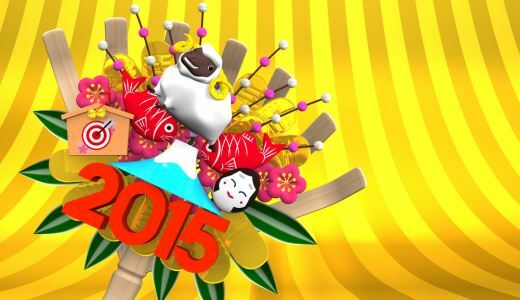 New Year is a major turning point and there are many customs surrounding it. Bring some of these into your own life. Experience a connection with tradition and with the Ancestors as you step into January. This is a well-known tradition from Scotland. The belief is that the first person who puts their foot over the threshold brings fortune to the household for the year to come. Often someone in the house will arrange for a friend to call at the exact time – just after midnight – bringing a gift (called a handsel in Scotland) to ensure that much more in the way of bounty will arrive, throughout the coming year. This first gift is usually a lump of coal, which brings warmth to the home. Probably there will also be a bottle of whisky. Traditionally the person to do the ‘first footing’ is tall, dark-haired and male. This may date back to the times when the Vikings were a threat, and as they tended to be blond, the image of a dark-haired man is protective. At a few minutes to midnight put out all the lights, except for one candle or lantern. The ‘lights’ should be living flame – electricity isn’t the same. Someone is now sent outside carrying the light, which they must protect at all costs from the weather. As twelve o’clock strikes, that person should knock on the door and be ushered inside, with their flame. It’s a good idea to have a couple of pre-rehearsed lines to say, such as ‘Welcome the living flame, the sacred light of the New Year. Welcome the bearer of the light.’ Then take the candle around the house and ignite from it at least one candle in each room, saying ‘The lucky light of the New Year burns bright.’ The party can really get going now! Not so very long ago the weather was crucial to survival. We are insulated now from the immediate effects, but actually we still depend on the kindness of Mother Earth as much as we ever did. Traditionally, the way the winds blew on New Year’s Day heralded the weather and good or bad fortune for the next twelve months. The winds from the West and South brought abundance, while from the North and East cold and difficulties were more likely. However, the winds have other, more symbolic meanings, so on New Year’s Day test the direction of the wind and note its significance in your life. North Wind – Element of Earth, bringing realism and practicality. Maybe plans will need to be scaled down. What can you build on? What resources do you have, and can you increase? Keep your feet on the ground and remember that life is the art of the possible if you want to achieve in the coming year. East Wind – Element of Air, bringing fresh ideas, mental challenges, news and information. Different perspectives are opening and you will have messages that make you think, and re-think. Ask yourself what you can learn, and what you need to look at with fresh eyes, for an inspirational year. South Wind – Element of Fire, bringing energy, passion and vitality. There will be much to ‘light your fire’ in the days to come. What do you feel strongly about? What gives your life meaning and purpose? Reflect on what you love, and your creativity, for you need to pursue these for fulfillment. Think also about obstacles and trials to be faced for you will have the strength and courage. West Wind – Element of Water, bringing emotion, tribal and family bonds, memories and healing. Maybe something from the past will need resolution, bonds of love can be strengthened, feelings will come to the surface. What needs to be healed in your life? Where should you be expressing love and tenderness? Let the next twelve months be gentle and wise. Any form of divination is fine on New Year’s Eve, to give you a look at the year ahead. It’s a good idea to use your favourite oracle card pack. This could be traditional Tarot, or angels, power animals, fairies – whatever feels right. Light a candle and relax, as you hold your pack, asking for guidance. Spread your pack, face down and pick one card. Interpret this card and keep it with you over the coming months – you may like to photocopy it, so you can carry it around without disrupting your pack. Let your card be a friend and inspiration, and discover different layers of meaning as you think about events and decisions with your guiding card in mind. Being in harmony with the cycle of the seasons can bring inspiration and comfort, but there are times when you need insight and positive input that you can’t get in any way on your own. You may also want someone wise to talk to about your New Year hopes and fears. Don’t worry – at The Circle we have all that you could wish for in psychic readings and clairvoyant readings. Why not call us today, to be connected to a medium, or psychic and to feel supported and guided.